So what better person to bring on to steer that ship than Taiki Wahiti. The man behind What We Do In The Shadows and Hunt For The Wilderpeople gets silly and – in some ways more importantly – knows how to combine it with emotion and action. He’s the total package and giving him the wheel to Chris Hemsworth’s mythical part Viking part sci-fi kingdom was a genius directing choice from a company that at times has been accused of stifling the creator’s voice. Which if they attempted to do here, they failed. 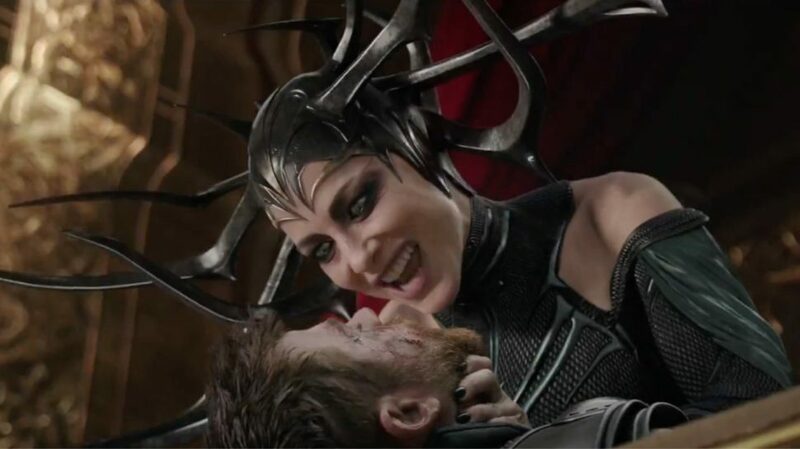 Ragnarok sees Thor and Loki isolated on Sakaar when their sister (and Goddess of Death) Hela (Cate Blanchett) returns to Asgard to take the throne. Trapped there, Thor is forced to fight in the gladiatorial Contest of Champions by Jeff Goldblum’s Grandmaster, while Loki is slightly better off and chums up with the eccentric nutter. Of course, the somewhat stubborn God Of Thunder isn’t interested in these games and wants to return to Asgard ASAP. What is instantly clear, is how much fun everyone is having in this film – and not the kind of fun that fails to cross over to the audience. Goldblum and Blanchett, in particular, are turned up to eleven, strutting across the screen delivering what must be a world record number of one-liners. As the film’s two main villains, they manage to avoid the Marvel curse of being entirely unremarkable by pure force of personality. They’re camp as hell and damn are they fun. And in this version of Marvel’s world, that works. For it’s all camp and it draws as much from comedy and 80’s action films as it does from its comic-book brothers. 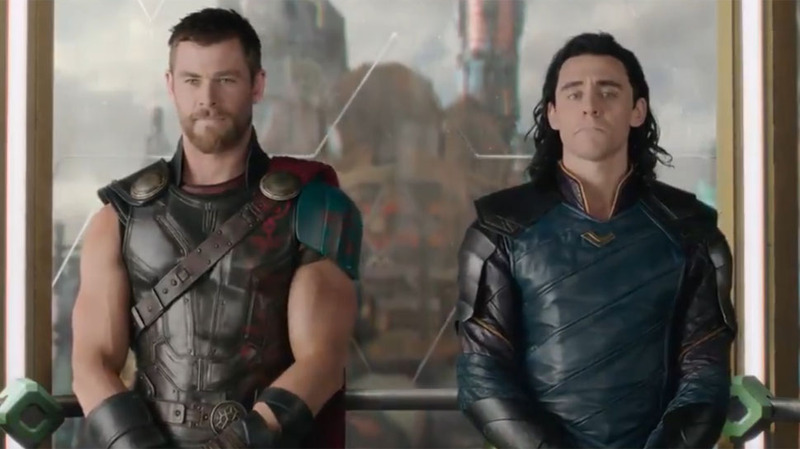 Everything is bright and bubbly and plays into the strengths of Thor and Loki. They’re ridiculous, and Wahiti knows that. He uses it to make that relationship (which has always leapt off the screen) even better than it’s been in the past. We might all talk about how perfect Downey, Evans and Ruffalo have been, but can you picture anyone except Hemsworth as Thor? He’s made for that role. From his god-like looks to his comic timing. Perhaps more impressive than the stars stepping up, is the part played by the background characters. Watiti himself pulls on the skin-tight motion capture suit to create Korg (a Thing like rock creature), and his comedy steals every scene he is in. Elsewhere, Mark Ruffalo drops in as the big green guy and gets a chance to really flesh out the angrier side of his personality as the film borrows plot points from Planet Hulk. 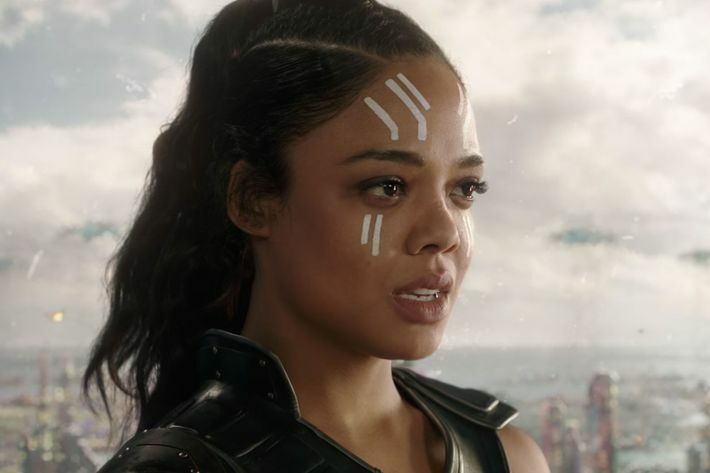 Tessa Thompson, meanwhile, is all drunken swagger as a badass Valkyrie who is hiding on Sakaar from some memories that she’d rather leave behind. Sometimes the past bites you on the arse. Look, if you haven’t guessed, I adore Wahiti, and I would watch him direct someone taking a bath. However, even without that bias, I believe that this is what Thor should have been from the start. It explodes with bright and colourful energy, and from the beginning to the end, you will have a smile on your face and a song in your heart. This is the Thor I want, and Ragnarok delivers it.